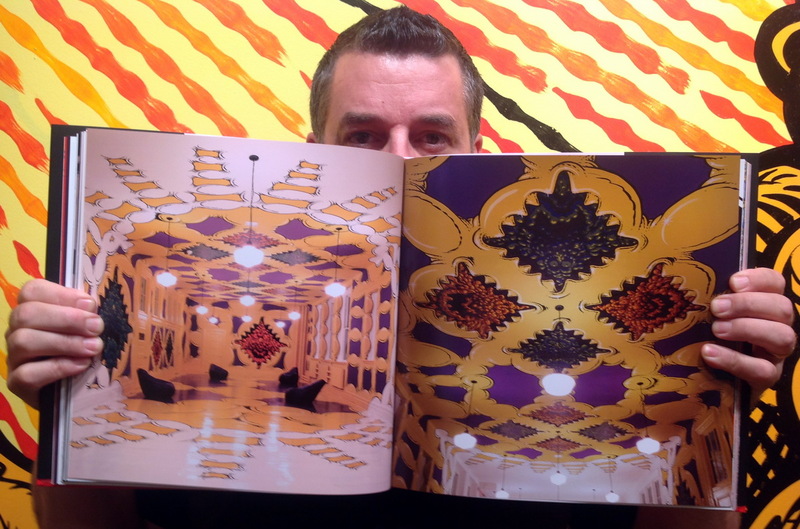 LA based artist Mark Dean Veca (interviewed) recently released a new book 20 Years Works through Zero+ Publishing. 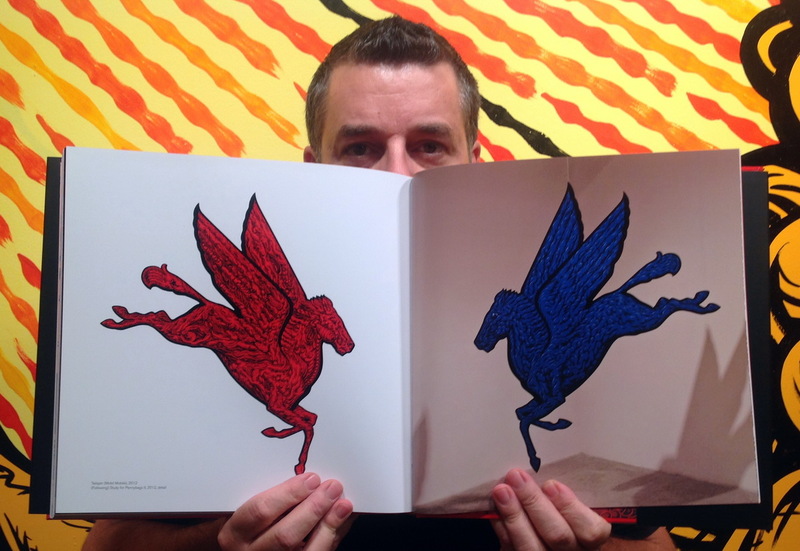 Along with the book release the artist opened a solo show at Western Project on September 7th, presenting a selection of works from the new hardcover book, and the official book launch and signing is scheduled for September 14, at 6:00 – 8:00 PM at the same venue. 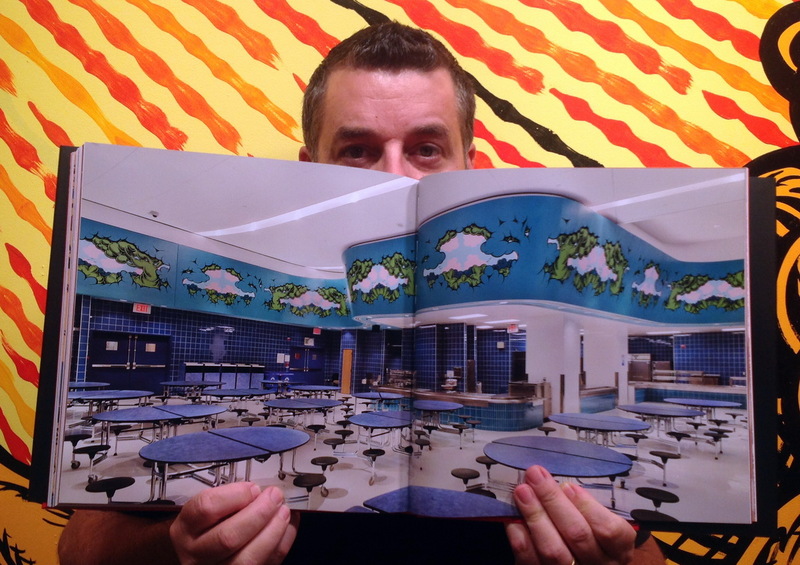 This deluxe over-sized coffee table book shows the evolution of Veca’s work and style from its beginnings in the 90s to his latest museum murals and installations. 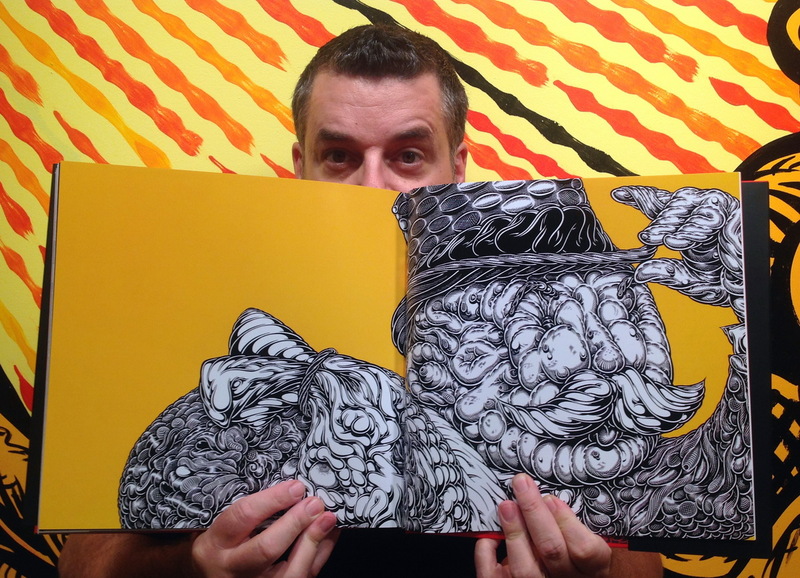 Known for their psychedelic feel and the unmistakable line work inspired by the underground comic world, his drawings and paintings pop off the paper or canvas in contrast with bright colored background. Bright red, orange and turquoise hues, are the colors of choice for Veca. The main elements of his pieces are often easily recognizable, but it’s a closer look that reveals their inner structure, organic form which is the signature way that Veca presents reality that surrounds him – from pop culture references like Tony the Tiger and Scrooge McDuck to Americana elements like the Lincoln Memorial and the American Flag, and from corporate logos and symbols to religious iconography including skulls, Buddhas and Ganeshas. Veca recently produced a contemporary mural inspired by 18th century wallpaper for the Davies Gallery in the San Jose Museum of Art’s historic wing, and he has exhibited throughout the United States, Europe and Japan at museums and galleries including the Aldrich Contemporary Art Museum, PS1 Contemporary Art Center, the Brooklyn Museum, the Bronx Museum of the Arts, and the Yerba Buena Center for the Arts. 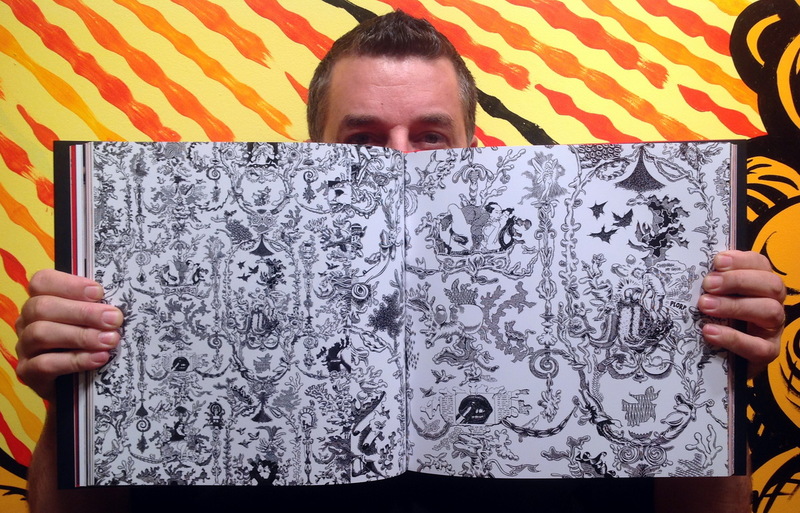 His work has been featured in The New York Times, Artforum, Art in America , Art Review, Juxtapoz and Flash Art, and is currently working on Year of the Snake, a major site specific installation for ARTPRIZE in Grand Rapids, Michigan. He is also currently in the 2013 California-Pacific Triennial (covered) curated by Dan Cameron at the Orange County Museum of Art. Discuss Mark Dean Veca here. 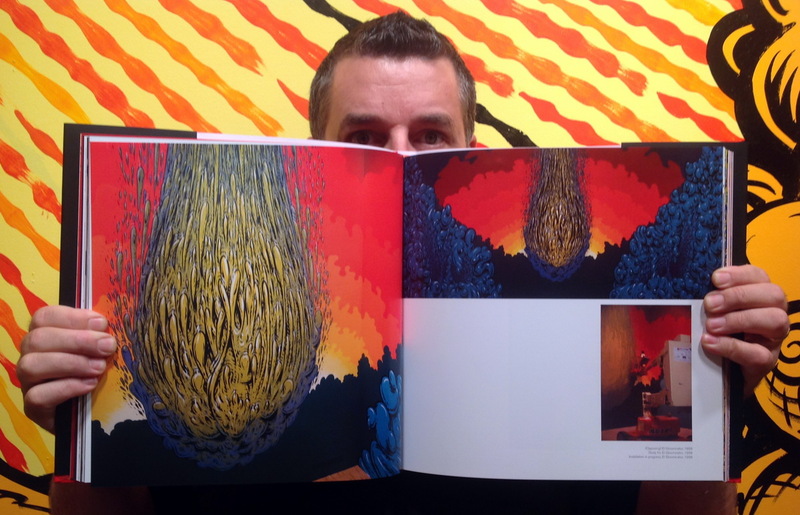 Categories: Contemporary Art, Low Brow & Pop Surrealism, Publications, Releases, Shows & Events. 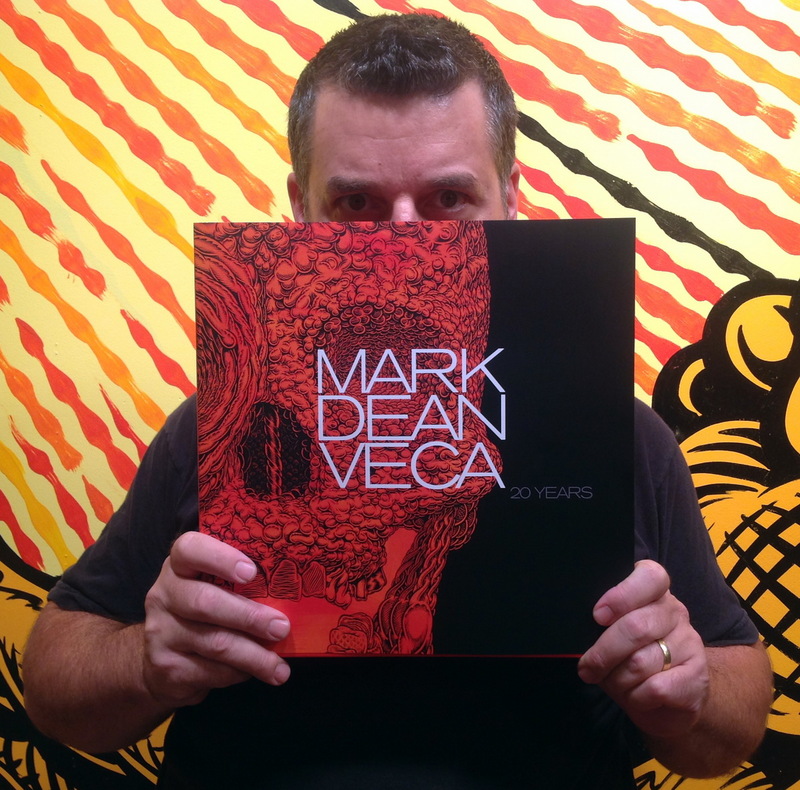 Tags: Books, Contemporary Art, Low Brow & Pop Surrealism, Mark Dean Veca, Publications, Releases, Shows & Events.